A thieving bank worker has been ordered to pay back his ill-gotten gains. Sean James Lingwood, of Beamont Drive, Preston, bombarded his Facebook page with pictures of him partying abroad after stealing money from a Lloyds bank client. The 27-year-old is currently serving a 28 month jail term imposed in May after admitting his role in a conspiracy to steal £110,000 from his victim - a middle aged woman who lives in Leyland - between January and June 2014. He returned to court as part of a Proceeds of Crime Act probe, and now has to hand over thousands of pounds of ill gotten gains. 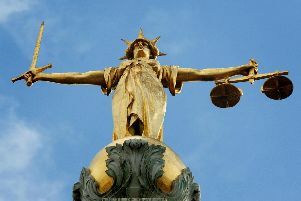 The former personal banking advisor, who was educated at Hutton Grammar School and formerly worked as a stockbroker, appeared in the dock at Preston Crown Court in a grey tracksuit as a judge made an order to seize some of the cash he made.